Puerto Princesa is a city located in east-central Palawan, Philippines. It is an important port on a sheltered inlet of the Sulu Sea, south of Honda Bay. Today it is the capital of the island province of Palawan, one of the 1,700 islands that make up the Philippines. The island is 263 miles in length although it is quite narrow and has 235,000 residents. The town of Puerto Princesa was named after Princess Eulalia of Spain, born in 1864 to Queen Isabella II ad her consort Dr. Francisco de Asis. When the princess suffered an untimely death, the Queen changed the name to Puerto de la Princesa, which was later reduced to Puerto Princesa. The city is extremely clean as they have very strict anti-litter and no smoking in public laws. Most all of the signage is in English and most everyone we came across spoke English. Our highlights tour took us to a wide variety of interesting spots beginning with the Palawan Special Battalion World War II Memorial Museum. The museum features five galleries highlighting the major countries that participated during World War II; namely the USA, Japan, Germany, Great Britain and Russia. Each room featured a collection of relics, weapons, aircraft carrier and bomber plane models, uniforms, bayonets and photos. Our next stop was the former City Hall building now a cultural heritage museum where we were treated to some local folkloric dances. We saw a film about the entire Palawan Island and its famous forest, underground river and beaches. The museum included fossils found at the Tabon Caves of Quezon, believed to be the first Filipino dating back as far as 22,000 BC. Our next stop was the Plaza Cuartel, which was the site of a Japanese garrison and now a memorial park to honor local heroes. This site also honors the site where 135 American Soldiers were set on fire and killed by the Japanese inside a tunnel during World War II. Next door to the park is the Immaculate Conception Cathedral, a beautiful old wooden church with two bell towers, which can be seen all around the city. We then headed about 15 miles out of town to the Iwahig Penal Colony, known as the prison without walls. Iwahig is a modern farm where prisoner’s toil the farms unguarded and are encouraged to promote self-sufficiency. Criminals are sent to this very large compound where they are educated, taught skills such as farming, including cultivating rice, coconuts, and fishing They are expected to practice their own religion. It was started in 1904 and is still in existence today. 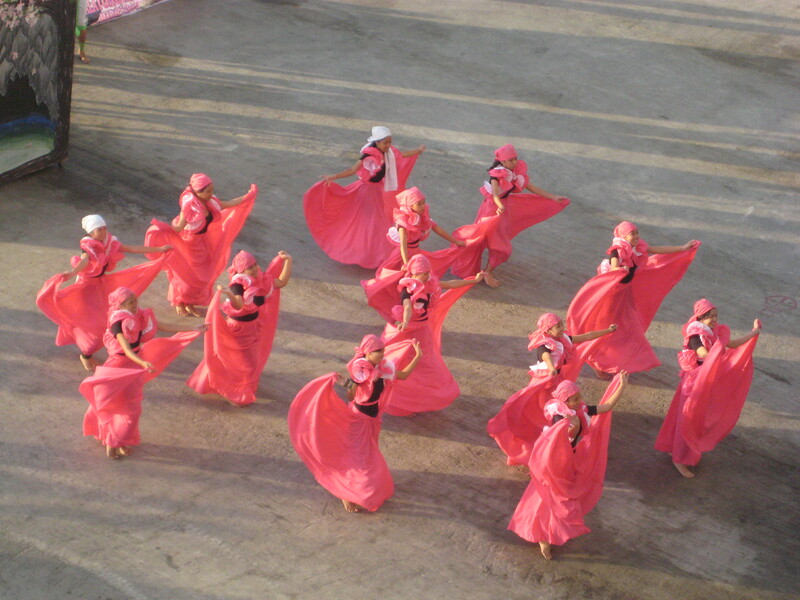 Some of the prisoners performed a few folk dances for us and they were selling some handicraft items. We then visited the Palawan Wildlife and Crocodile Farming Institute where they aim to preserve and conduct research studies into endangered species of crocodiles. They also have a hospital for sick and disabled crocodiles. You could even have your photo taken with a small crocodile over your shoulder if you chose to. No thanks! Next we stopped at the Rancho Santa Monica viewing deck for a panoramic view out over the Honda Bay and some of the surrounding islands. This lookout area is located in an area called millionaire’s row where very large view homes are located. Not surprisingly, wealthy politicians own many of the homes. We also were able to get a look at a cashew tree, which I had never seen before. They are quite large trees, which flower and produce a fruit about the size of a fig. 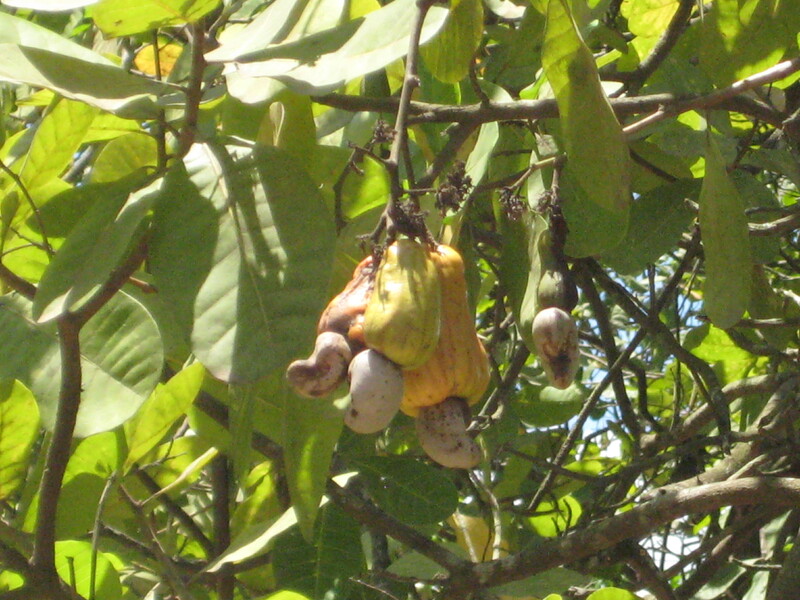 From the bottom of the fruit grows a single cashew nut encased in a hard shell. Evidently you can store a cashew nut in the shell for two years and it will still be good. Our last stop was a handicraft market where we could purchase such items as cashews, dried fish, carved wooden masks and sculptures, t-shirts and a variety of other items. The prices were extremely reasonable although the quality was not as appealing. Both upon our arrival in port in the morning and our departure in the afternoon we were entertained by local school children of all ages who came down to the port. 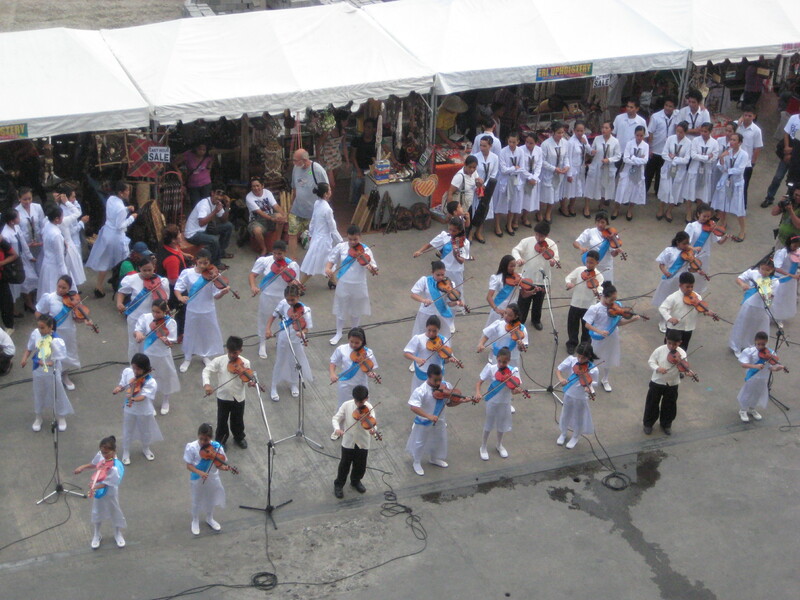 There was group of children who played violins, singers and dancers of all ages. 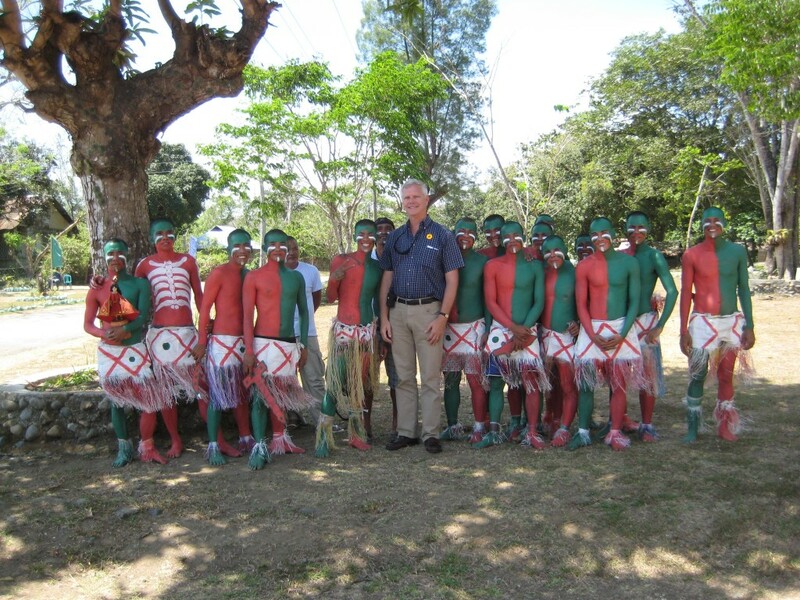 We were really pleased with the warm welcome and the friendliness of all the local people. Back onboard we were entertained by a mandolin player by the name of Radim Zenkl from the Czech Republic who also played the flute and did a bit of a comedy routine.